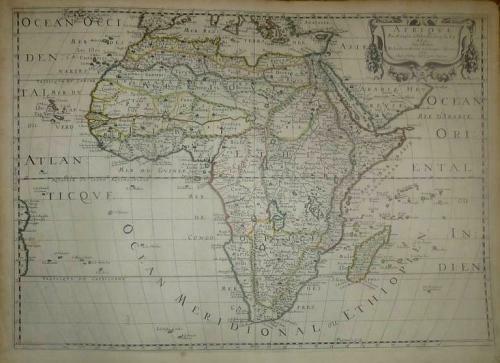 A large handsome map of Africa by the leading French cartographer of his day. There is a wealth of topographical detail and place names and a decorative cartouche. In very good condition with the exception of some small stains within the the plate mark in the lower left quadrant, slight browning around the border edges and rounded upper corners. Would frame well.